As I left Leominster Priory after looking at the ducking stool that formed the subject of my previous post, the sun came out, warming the mid-18th century red brick of this lovely house on the approach road to the church. I'd admired this house before, and its polite architecture, but I'd not seen it without cars or vans parked in front. The lack of these, and the sun, seemed to demand a photograph. I'm often taken by the quiet impressiveness of Georgian house fronts like this. None of the heavy effects of the earlier period, none of the filigree decoration or bow windows of the later Regency. Just good honest brickwork and the usual adornments – quoins, keystones, a doorcase with its own curved pediment, a larger, triangular pediment (with nice oil de boeuf window) at the top. As is so often the case, the window frames were renewed, with large panes, in the 19th century, but at least these changes don't destroy the overall proportions. I don’t know who built this house or originally lived in it – someone of substance, clearly, commissioned the town's best Georgian house. For part of the 20th century it was, I believe, divided into flats, and I read in one place that during World War II troops were billeted there. It is now a care home. 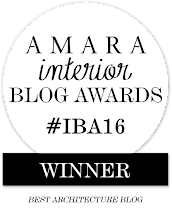 Its polite architecture has clearly proved both adaptable and resilient. It’s time for another of my odd things in churches, and this one is particularly odd. The ducking or cucking stool was an instrument of punishment, used in the Middle Ages and later, generally for to those who spread malicious rumours or tradespeople who gave short weight. The term ‘cucking stool’, literally ‘defecating stool’, refers to a chair, sometimes in the form of a commode, fitted with wheels and trundled around the town with the guilty person on board. The aim was to humiliate the malefactor, humiliation being a key part of punishment in the medieval and early modern periods (as with the use of stocks and pillories). A ducking stool took the punishment a step further by incorporating an arrangement of beams so that the person could be dunked in a river or lake. The town where I live has a street called Duck Street because it was the site of the local ducking stool, which has long vanished. 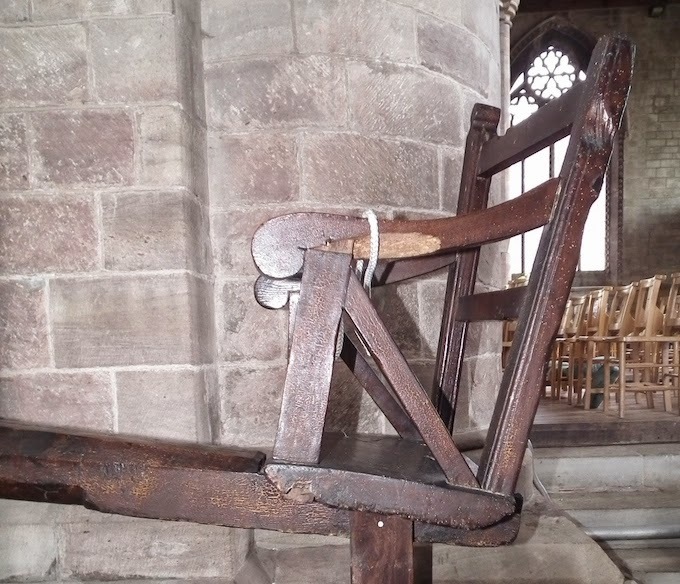 One place where a ducking stool can still be seen is Leominster Priory, where it is kept parked against a wall, looking as if it could easily be trundled out of the church to duck any criminal deemed to need the soggy treatment. According to the information displayed with the Leominster stool, it was last used in 1809, ‘when a woman, Jenny Pipes, alias Jane Curran, was ducked in one of the adjacent streams’. No fire so hot but water quenches. A sexist punishment, then, in part at least. But I wouldn’t want to have been a butcher who gave gave short weight on the sides of meat. This elegant bit of lettering is an interesting variation on the capital’s standard black and red street name signs. By keeping the usual colours – black for the name of the street, red for the postal district – the sign recognisably relates to London, but the letterform and layout are completely different from the London norm. The architect of this building, Gordon Jeeves, seems to have had the idea of integrating the lettering more closely than usual with the design of the building, setting the letters in a purpose-designed horizontal slot, and using this slot to mirror the strong horizontal lines of the rest of the design. The building (essentially an office block, though meant to have shops on the ground floor) was designed in the late-1930s: the Survey of London says in 1937. On the opposite corner is the West End Central Police Station, a pale, stone-clad building of 1938–9, with modernist features (glass bricks, strong horizontals) and similar lettering. So it looks as if the architects of the Police Station (Burnet, Tait & Lorne) decided to follow the lead of their neighbour and include matching lettering. I like the way the sign sits in its horizontal slot – although the fit isn’t exact: the ‘Savile Row’ and ‘Boyle St’ parts of the slot have been made the same length so there is more white space around ‘Boyle St’. The letterform is strikingly different, too, from the usual Univers Bold Condensed of London’s street name signs. Could it be Futura, or something very like it? My graphic designer readers will no doubt enjoy telling me. I hope the rest of you enjoy the sign too. I've noted before how bees have been used as symbols of co-operation for hundreds of years, and as symbols of the Co-operative Movement since its first inception in the 19th century. This plaque, which I came across on a building in Loughborough, no doubt marks the site of Co-op store. The motto it bears, 'Unity is strength', was also adopted early on by the Co-operative Pioneers, although they sometimes used the form 'Union is strength'. Although this plaque is not quite as beautifully made as the one I spotted in Wiltshire a while back, it scores highly in one key respect. While the Wiltshire example showed just the hive, this one includes actual bees in flight. These long-enduring creatures, here, so the fancy lettering proclaims, since 1865, remain to remind us of their links with industry, cooperation, sweetness, and continuing pollination and life. Whether represented artistically, as in this Loughborough street, or in their living form, they deserve our notice and respect. This former seed warehouse, resplendent with glowing brick and gilded lettering, was built in the mid-19th century for seed merchants Alfred McMullen's and partly rebuilt in 1944 after bomb damage. Tucked away not far from the town’s Mill Bridge, it’s now I think used variously as offices and a store for Hertford Museum. 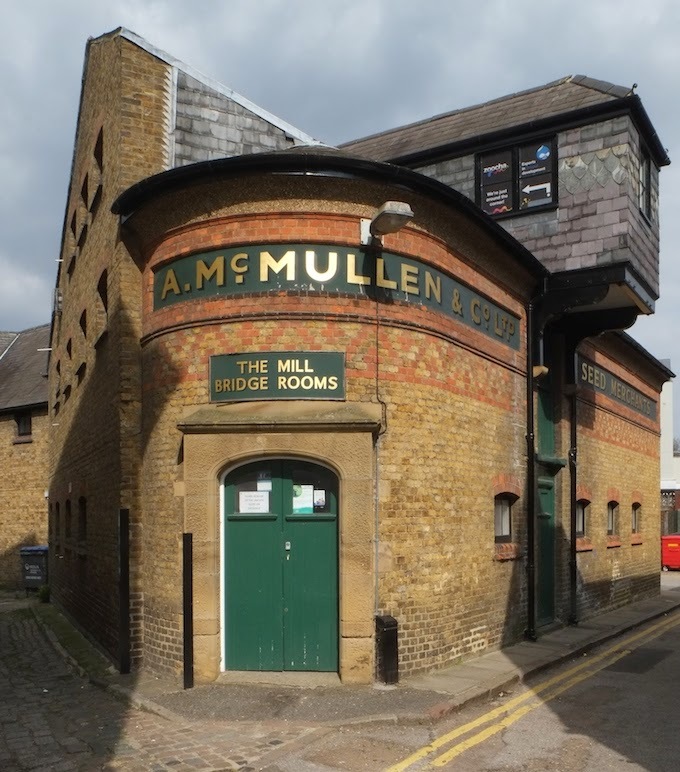 Hertford Town Council also offers this part of the structure – the Mill Bridge Rooms – as a community facility for hire. There's some lovely brickwork here – mainly yellow brick with some details including a diaper pattern and segmental arches above the windows in red brick. The way the brickwork curves to turn the corner* is striking, especially the way the curves contrast with the varied sharp angles and straight lines of the rest of the structure. This was the feature that caught my eye as I passed – that, along with the way in which the gold lettering shines in the sun. It's not all brick, though. Typically of central Hertford, which exhibits a variety of brick, stone, stucco, weatherboarded, and timber-framed buildings, there are several different materials on display here – hammered sandstone around the doorway, slates on the roof and cladding the hoist chamber that sticks out above the doors to the right, even a bit of pebbledashing along the eaves course. 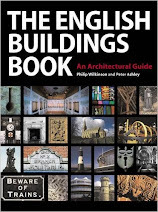 It's a rich mixture that works, and is a tribute both to the flair of Victorian builders and the efforts of those who have conserved and maintained the building more recently. * Regular readers will know that I have a particular liking for buildings that turn tight angles with curved walls, as exemplified here and here. Thinking back to Ordinary Beauty, the Edwin Smith exhibition at the RIBA, and remembering Smith’s evocative 1961 black and white photograph of the church interior at St Lawrence, Didmarton, I recalled that I’d taken a photograph from a very similar viewpoint a couple of years ago. Perhaps the two images would make an interesting comparison – not in terms of photographic quality (Smith, of course, wins hands down on that front) but as an indication of how the building might have changed over the last half century. Looking at the two images together, it’s clear that there have been some changes. Both the walls and the woodwork have been cleaned up and repaired. The walls are now white and smooth, in contrast to the rich, crumbly plasterwork of Smith’s time, and the beam in the ceiling looks healthier, if less picturesque. Both floor and stairs seem very similar. Sadly, the lovely curving candle brackets have gone, although the plates to which they were attached remain. The furniture has changed too. The benches have disappeared, although the chair is still there and there is now a businesslike cupboard against the wall. On the extreme right, there’s an indication that the panelled box pews, a sliver of which is just visible, have been repainted – they’re now a fetching pale green (this goes for the box pews in the nave too). 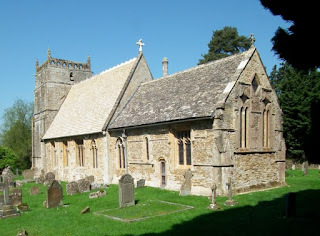 All this suggests that the church has undergone some much needed repair and conservation work. In the process it has lost a little of its character – the character that comes from the unevenness in the worn walls and woodwork – although the pleasantly cracked and roughened floor, the window tracery, and details such as the hanging weights of the clock still speak of age, history, and use: this place still has plenty of atmosphere. Church-crawlers can be grateful that it has been cared for – but also grateful that the subtle and sympathetic scrutiny of Edwin Smith’s lens has put on record what it was like some 50 years ago. Ordinary Beauty: The Photography of Edwin Smith is at the Architecture Gallery, RIBA, 66 Portland Place, London W1, until 6 December 2014. RIBA's online archive of Edwin Smith's photographs is here. 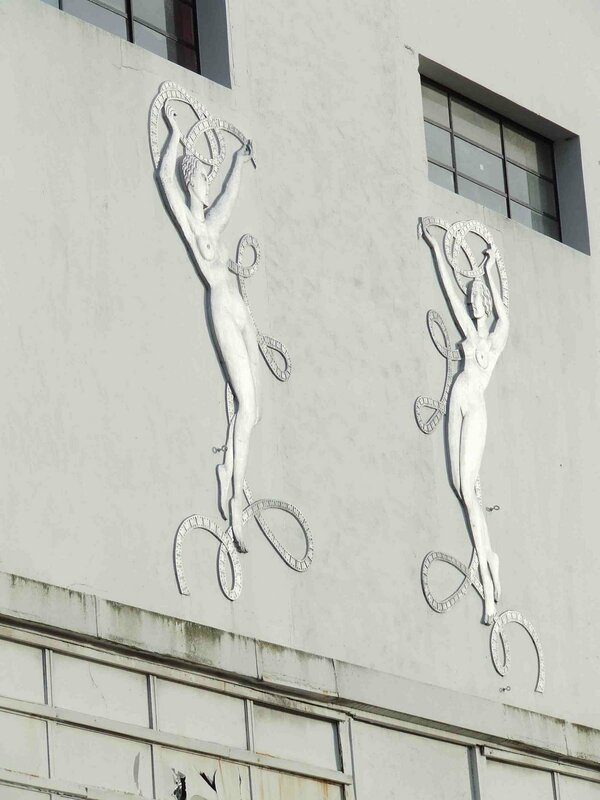 It’s an undistinguished Art Deco building, with the redeeming feature of these two naked women tangled in celluloid high up on the façade. Most passers-by see only the boarded-up entrance of the cinema, steadily becoming more and more of a blot on the townscape. I’d lay odds that most of them never notice the silver ladies, two of several reminders of the unregarded past of a quiet Cheltenham side-street. These relief panels are by Newbury Abbot Trent, a prolific sculptor who produced many war memorials. 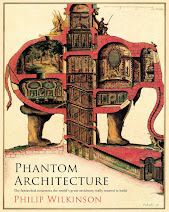 He was the brother (or, according to some sources, the cousin) of the cinema’s architect, W. E. Trent. The panels are the kind of thing that often adorned cinema buildings of the 1930s, although they were often carved in stone, with a more neutral surface than the shiny metallic finish of these Cheltenham examples. Such sculptures often show female figures – always glamorous, often naked, sometimes, like these, with exaggerated proportions – and were meant to entice us into the magic and seductive world of the cinema, at a time when only a tiny minority had television and cinema-going was a regular weekly recreation for millions. When they were new, shiny, and properly lit, they would have reminded film-goers and passers-by alike of the magical, flickering world inside. It’s a shame they are no longer there. Postscript 2018 I can somewhat belatedly report that these reliefs have been preserved. They are now displayed, at ground level, fittingly on the rear of the town's more recent cinema. Here they can be well appreciated and also entertain passing drivers on Chletenham's notorious inner ring road. I have been in a traffic queue next to them several times.